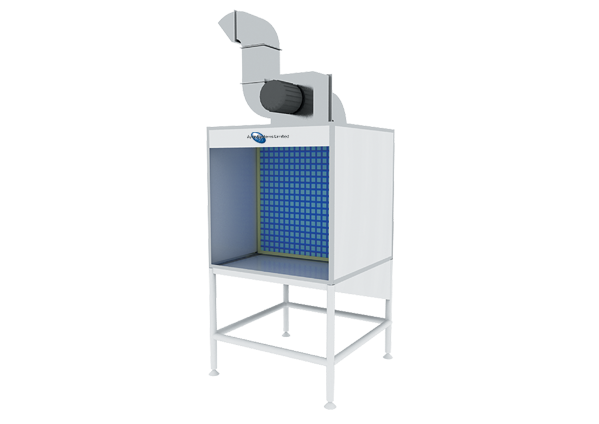 A new addition to the Ayce Systems paint fume extraction systems, the Spray Paint Cabinet A2 features galvanised steel panels, anti-explosion lighting, 0.37kw motor, fan and fibre glass filter. Perfect for multiple uses in the workshop, ideal for alloy wheel painting, paint mixing and painting of small parts etc. For more information about our Spray Paint Cabinet A2 click the button below to download the print friendly PDF brochure, or if you would like to receive a quote for this system, please click the request a quote button.